Technically, an artichoke is a flower. In full growth, an artichoke plant can spread nine feet in diameter and stand five feet tall, and one plant can produce over 20 artichokes a year. 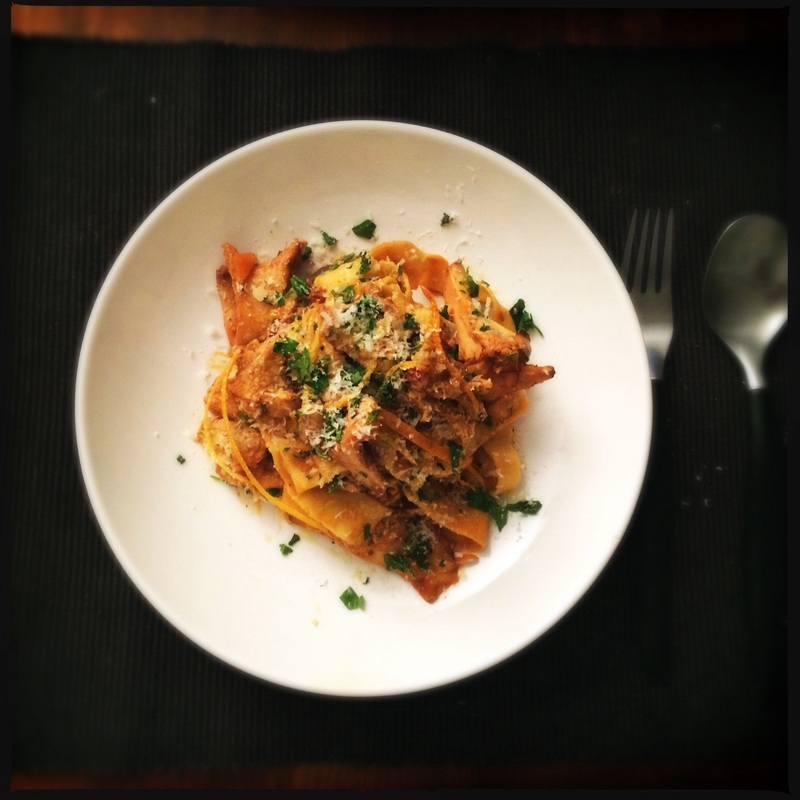 Artichokes are a significant source of vitamin C, folic acid and magnesium. 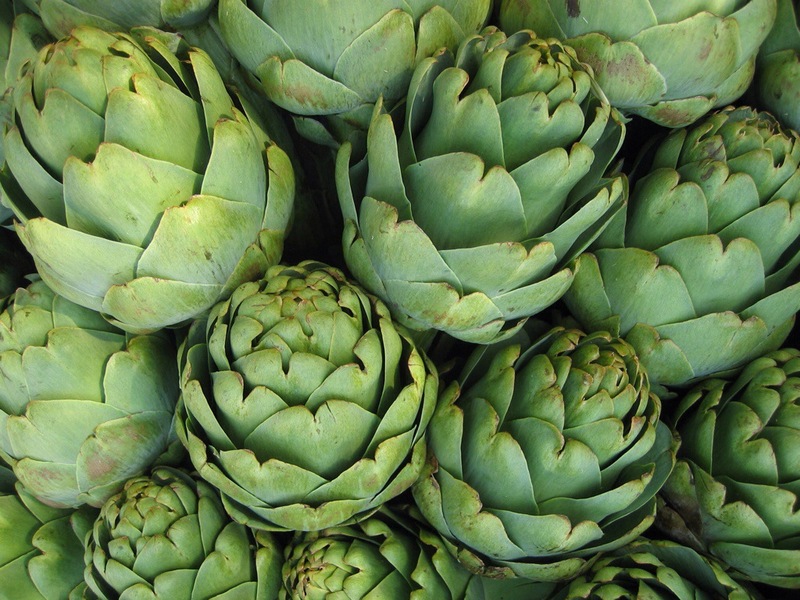 Virtually fat-free, the artichoke weighs in at 25 calories (per medium artichoke) and is low in sodium. The artichoke is a perennial thistle that originated in the Mediterranean. 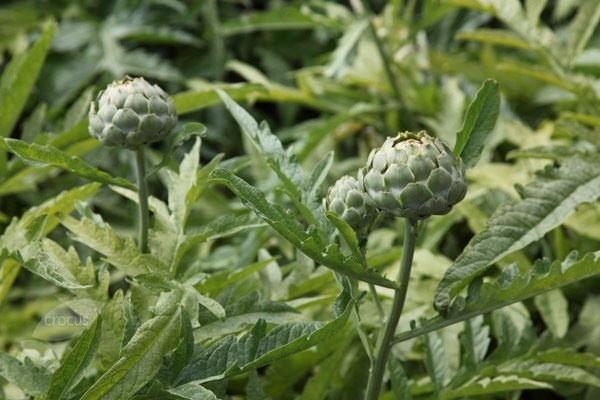 The artichoke is technically a flower bud that has not yet bloomed. Artichokes were introduced to England by the Dutch in the 1500s. They were brought to the United States in the 19th century by French and Spanish immigrants. The top artichoke producers today are Spain, France, and Italy. In 1947 Marilyn Monroe, then still going by her given name Norma Jean, was crowned Castroville’s first Artichoke Queen. 1. 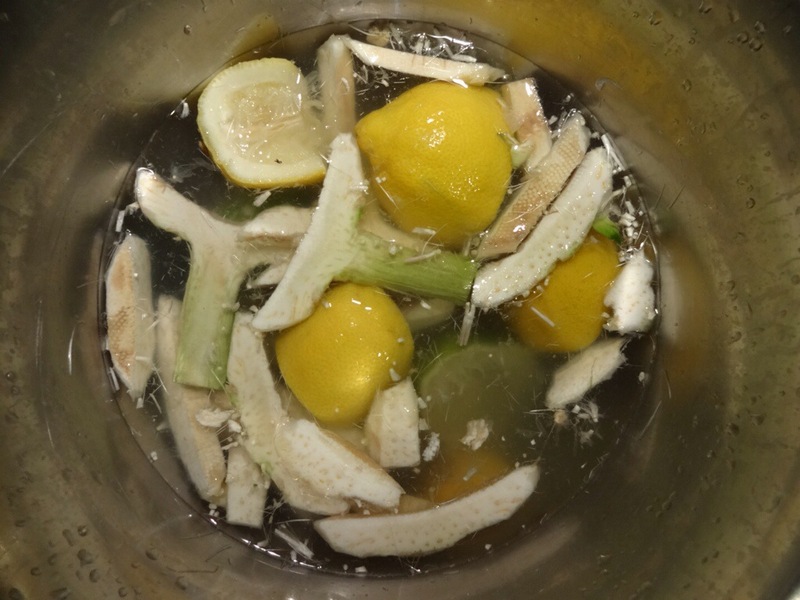 Fill a bowl with cold water, then squeeze in the juice of a lemon and add some lemon slices. 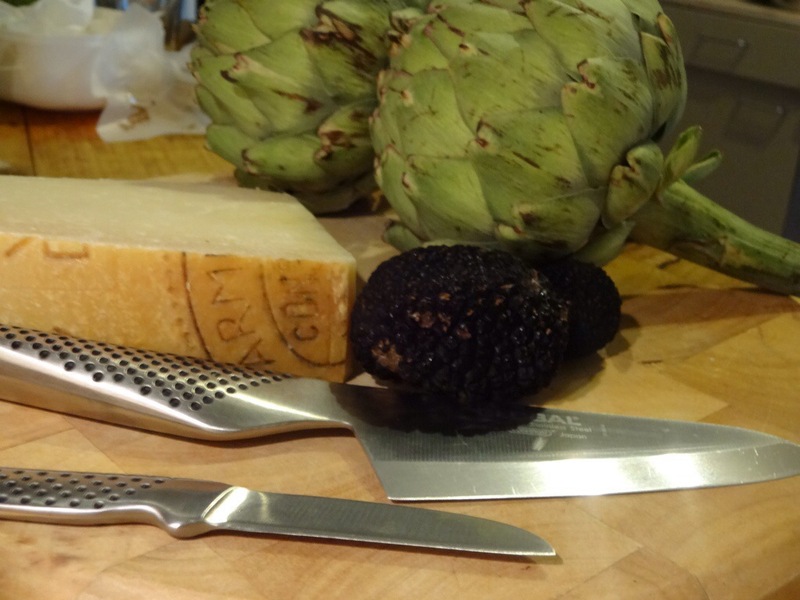 Have a halved lemon to hand to rub over the cut edges of the artichoke as you prepare it. 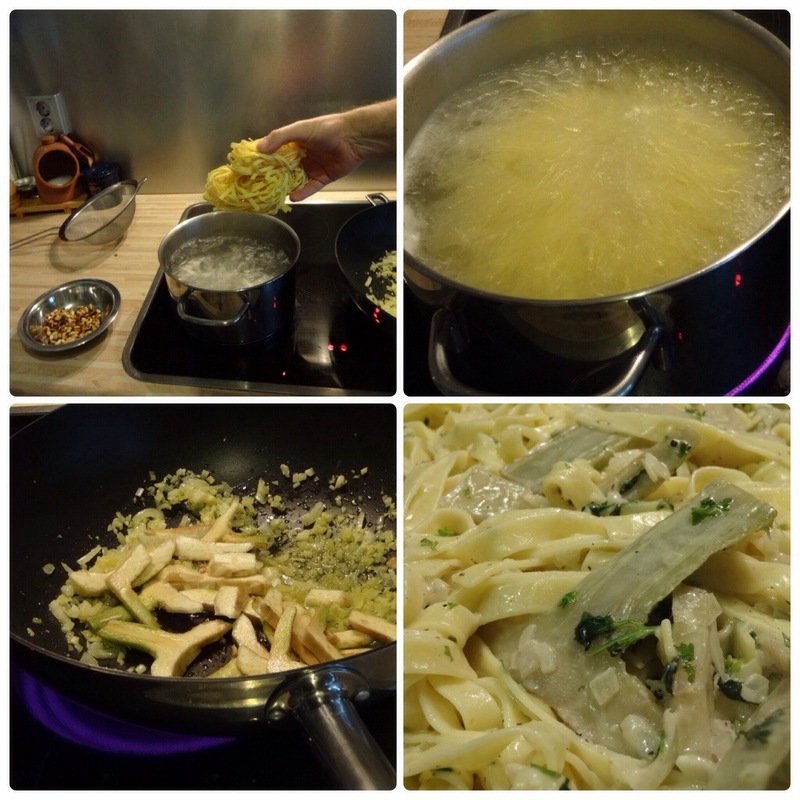 The lemon juice will prevent the artichoke from oxidising and turning brown. 2. Pull off the tough, dark green outer leaves of the artichoke. Continue until you’re left with the light tender leaves in the centre, then rub all over with the halved lemon. 3. Slice off the top 2cm of the remaining artichoke leaves. Trim the stalk, leaving about 2.5cm, and rub the cut surface with the lemon. 4. Use a small knife to trim the remaining dark green skin from around the base of the artichoke and the top of the stalk, rubbing with lemon as you go. Trim to give a neat shape and flat bottom. 5. 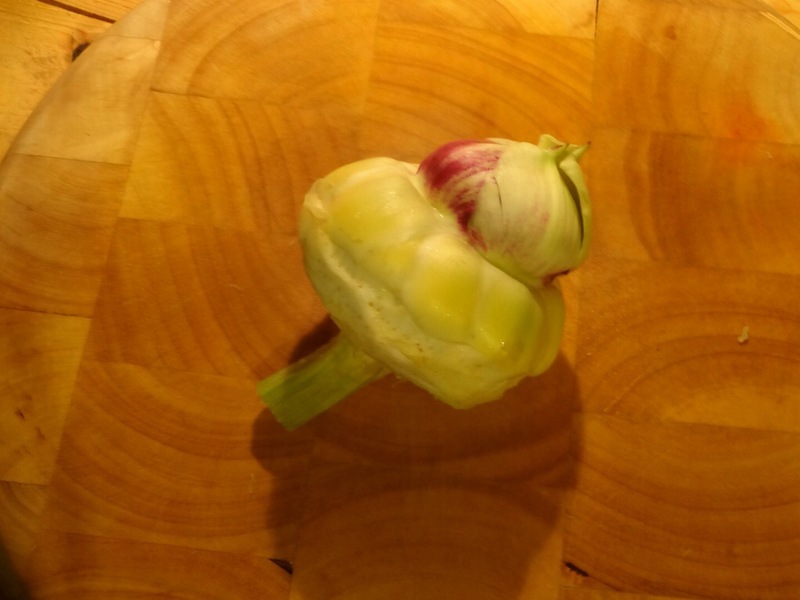 Halve the artichoke lengthways to expose the fibrous choke in the centre. Rub with lemon juice, then use a teaspoon (or a grapefruit spoon if you have one) to scoop out the choke from each half. 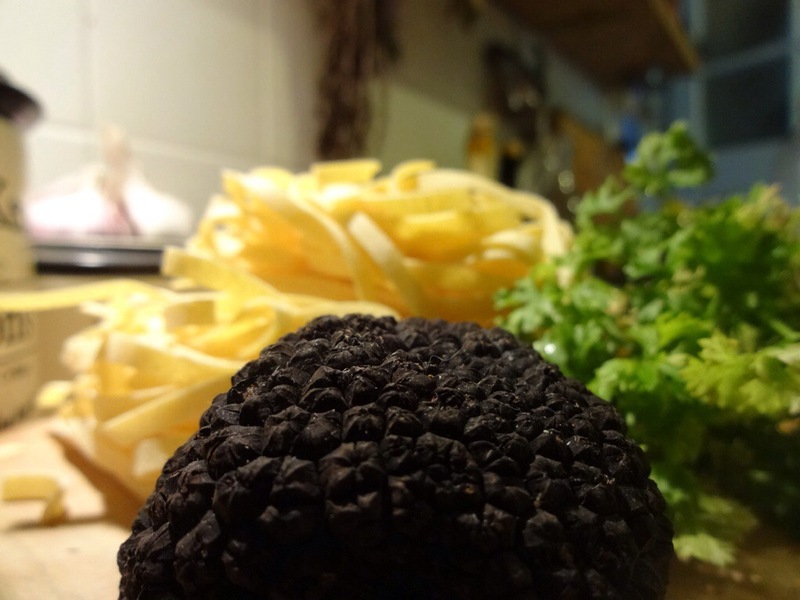 Pull out the tough, spiky red leaves from the centre and rub again with lemon. 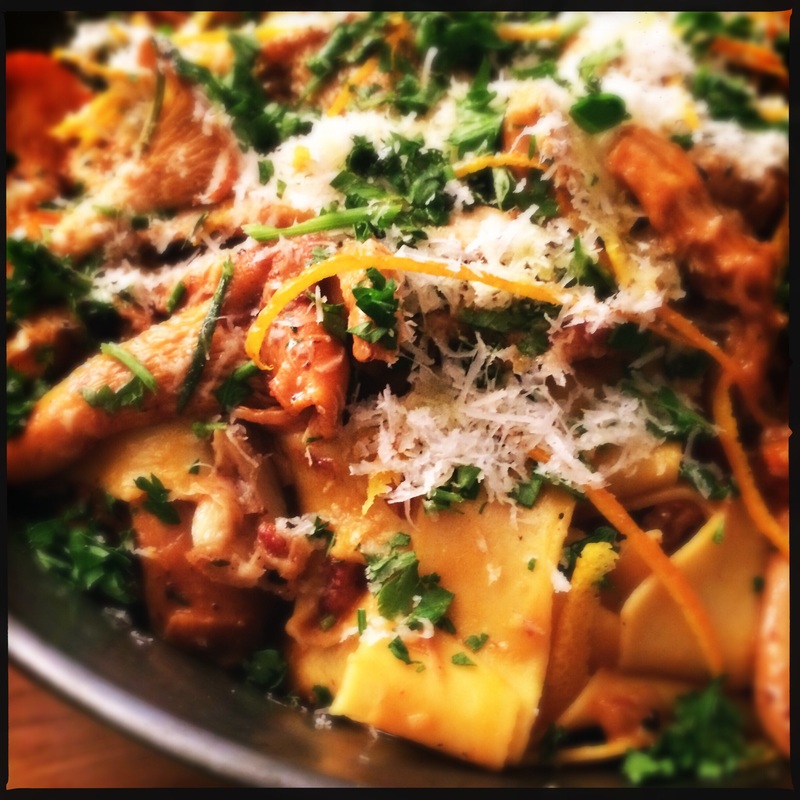 Put the prepared artichoke hearts in the bowl of lemony water until you are ready to cook them. Slice the prepared artichokes in half and cut into fine slices. 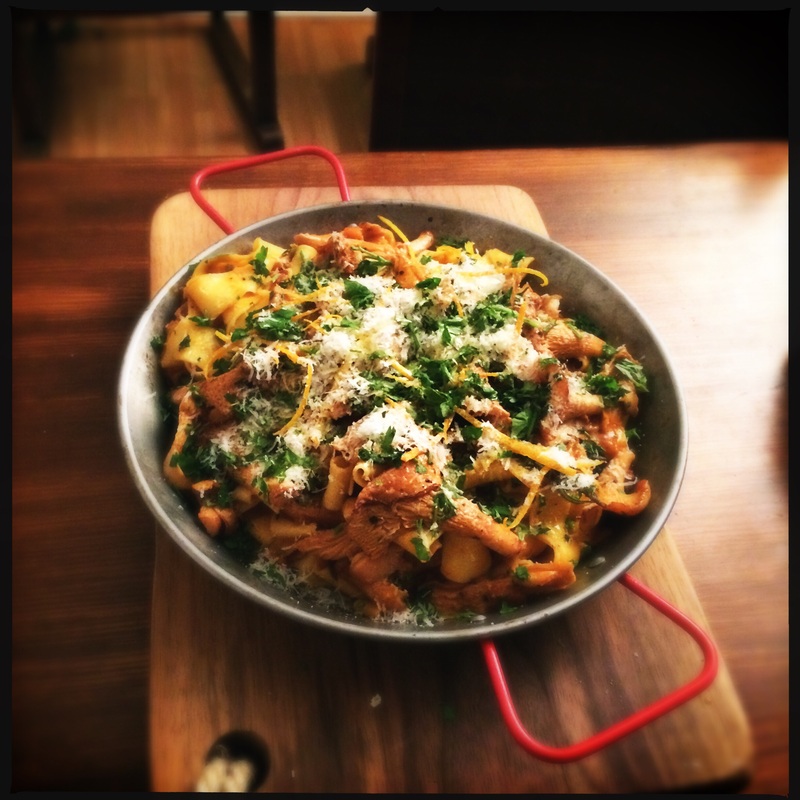 Heat the olive oil in a frying pan and gently cook the artichoke onion and garlic for two minutes. Add four tablespoons of water, cover with a lid and cook for four minutes, or until the artichokes are tender. 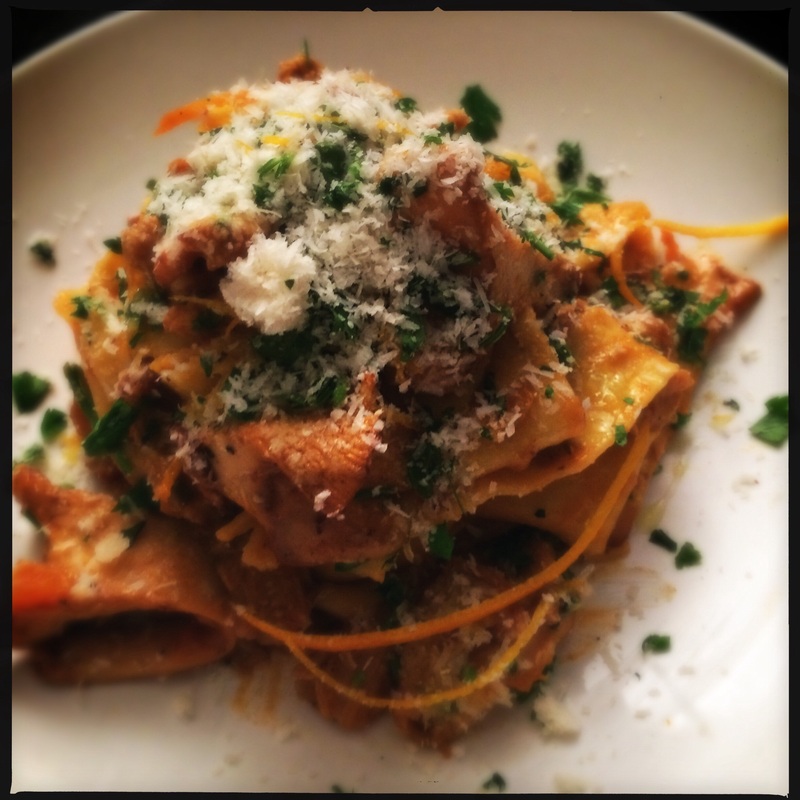 When the artichokes are cooked, add the parsley and cream and season with salt and pepper. 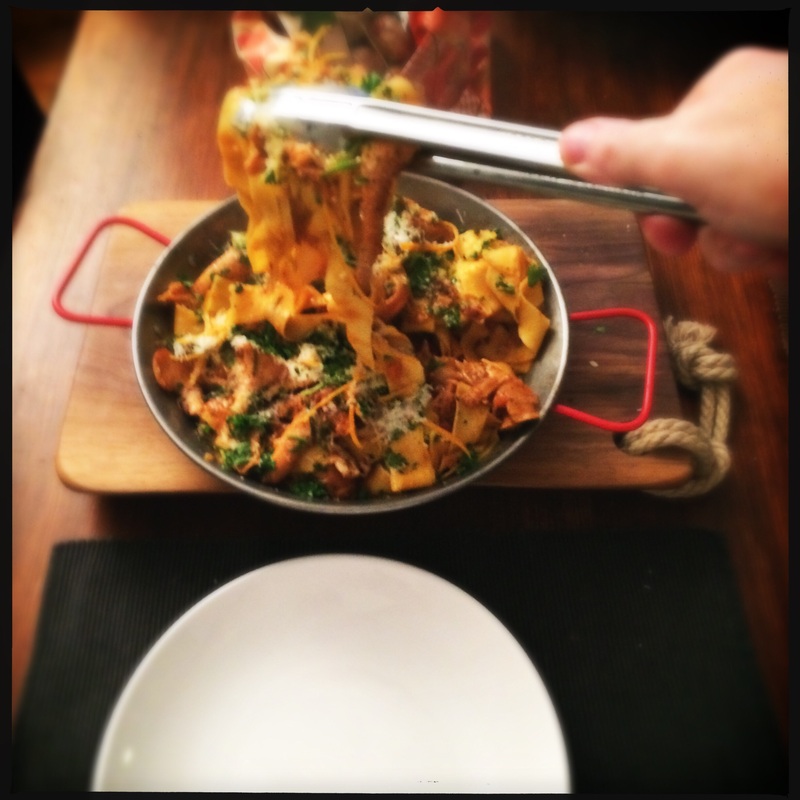 Meanwhile In a pan of boiling salted water, cook the tagliatelle until al dente. 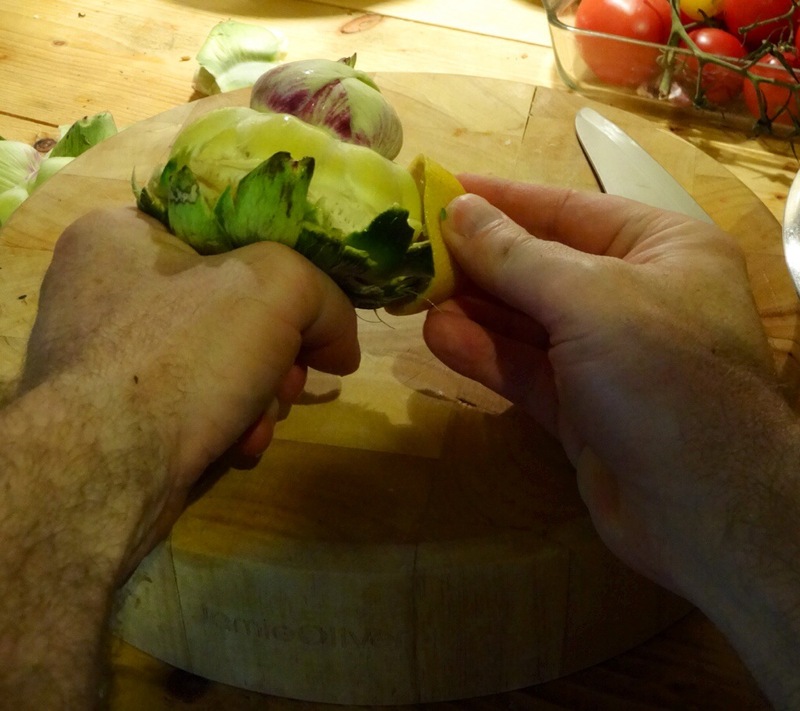 Using a pair of tongs, transfer the tagliarini to the frying pan containing the artichokes. Add a couple of tablespoons of pasta water and half of the grated parmesan to the frying pan. 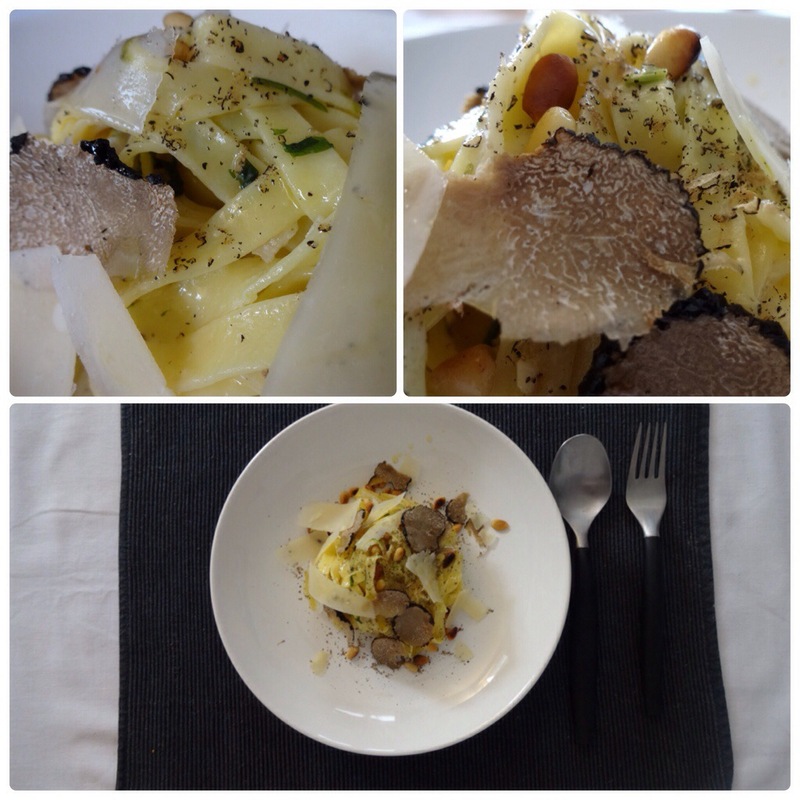 Toss well and grate a little truffle into the pasta. Check the seasoning and add salt and pepper as required. 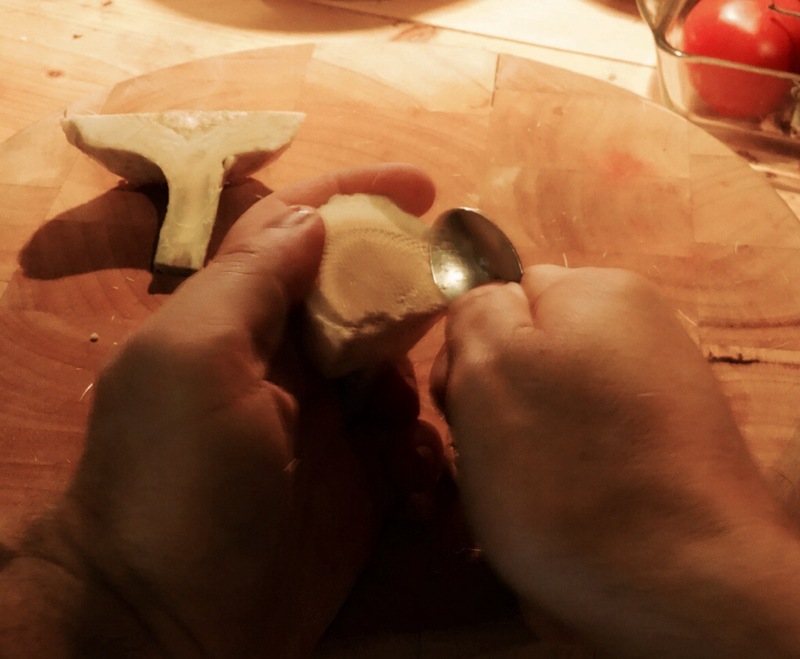 Toss again so the truffle is absorbed into the sauce. 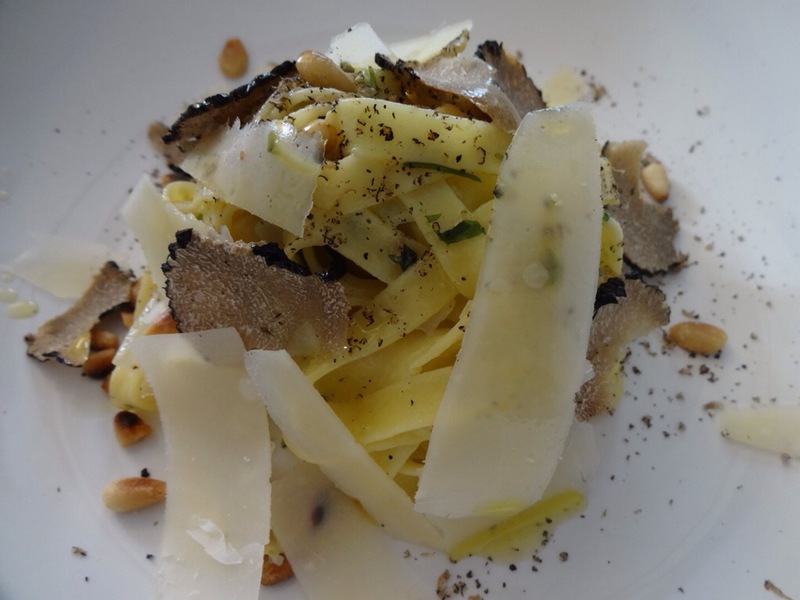 Serve in hot bowls with more truffle slices, toasted pine-nuts and the remaining parmesan shavings on top.